There's something about popcorn that sends a euphoric wave across our bodies, delighting all the senses with its rich and buttery goodness. It might sound kind of corny (get it? Corny? ), but it should come as no surprise there is a real-life National Popcorn Day. A recent NationalToday.com survey reveals that 92 percent of Americans can't get enough of our favorite popped snack. While 73 percent say they like to keep it traditional by diving into a bowl or bag of classic butter and salt popcorn, there are a whole lot of flavors to choose from. Also in the survey, 53 percent of Americans revealed they liked Orville Redenbacher over Pop Secret (42 percent) and Act II (34 percent). Americans eat around 17 billion quarts of popcorn each year, enough to fill the Empire State Building 18 times, according to Lexi Jacobs, author of "The History of Popcorn." Nebraska is the popcorn capitol of the U.S.
Each year, the state of Nebraska produced an estimated 250 million pounds of popcorn, more than any other state in the country, Jacobs said. You often hear the explosive power of a popcorn kernel bursting into a yellow-gold bloom of deliciousness, but did you also know that same kernel could fly 3 feet in the air unobstructed? That is according to author Lucille Fairweather, author of "Amazing Popcorn Secrets." Guess how many kernels fit in a cup? You'd be surprised to find just how many little brown popcorn kernels you can fit in a single cup. The answer is about 1,600, Fairweather says. If you think popcorn is junk, think again. Jacobs said it has more protein than any other cereal grain, more iron than eggs or roast beef, and even more fiber than pretzels or potato chips. The great majority-63 percent-eat popcorn at the movie theater, but that's not the only place you'll find it. Virtually the same amount of people said they eat it while watching TV and movies at home. 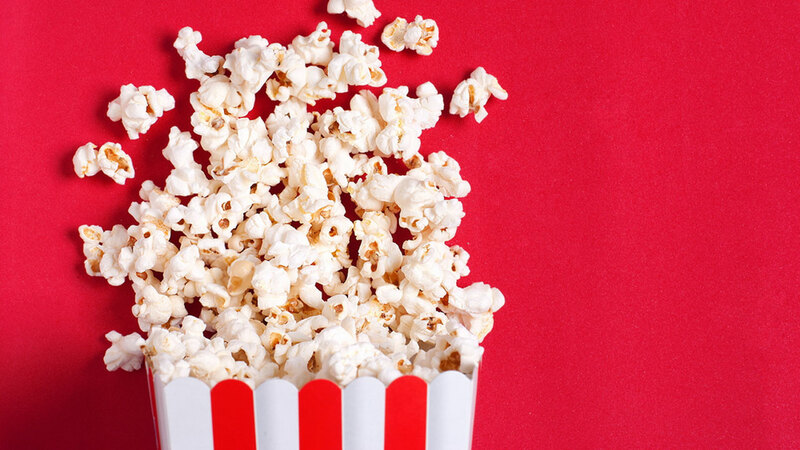 Thirty percent of people said they love popcorn for a late night snack, 22 percent as an easy snack when they get home from work, and still, 13 percent just can't wait, popping some at the office. Did you know there's an actual popcorn season? It's in the fall, when popcorn is at its peak, followed by winter. Sales for popcorn fall during the spring and summer, Fairweather said. Popcorn actually comes in three different shapes, including rice, pearl and South American, Jacobs said, but most commercial popcorn are of the pearl variety. At least it did 'back then.' Throughout history, the Aztecs and later the Paraguayans used popcorn as a hair accessory. When explorer Felix de Azara visited Paraguay in the 18th Century, he discovered women stranding kernels together and using them as a beauty product, according to "Popped Culture" author Andrew F. Smith.